[ANN][ICO][AIRDROP] - Mumcoin(MUM) - Decentralizing Mum on the Blockchain. 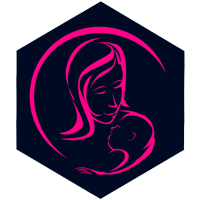 Introducing Mumcoin, the first Mother Token. Is there any person in the world that's going to dump his/her mum for anything else? Mumcoin will be the cryptocurrency with most holders! When you were a baby, the person you wanted when you cried was most likely going to be your mum. In elementary school, the first person to know about all of your good grades and accomplishments was your mum. In middle school, she may have been the absolute LAST person you wanted to tell anything, but she was always there for you. In high school, you started to accept her into your life more and more, and by the time senior year rolled around, you couldn’t imagine how you were going to leave her in a few short months. Now that you are in college, she's the first call on a bad day, the first call on a good day, and the first call when you finally get that A on a test you have been studying so hard for. Let’s face it, we all used to hate it when our mum would say “you’ll understand one day” when we just could not figure out why she wouldn’t let us go to the skating rink alone in sixth grade. And let’s not forget about that “I’m always right” statement that used to creep up after she said no and something bad happened at the skating rink that weekend. You used to cringe when someone would tell you how much you looked and acted like your mum, and you always thought I will never, EVER do this to my child when I am a mother. But looking back on it now, she was right. You’ll never tell her she was right, but you know she was. You’ll never tell her how much you look up to her, or how every time a teacher asks you who your hero is, the answer is your mother. You’ll never tell her thank you for making you sit at the kitchen table and do your homework while all of your friends are outside playing, because now you make A’s in college and you realize that all of those hours spent doing homework were so worth it. You will never tell her thank you for putting up with your temper tantrums and meltdowns and you’ll always feel guilty for telling her you hate her in a heated moment. Because the truth is, you don’t hate her. She did all of the things that you hated because she loves you and only wants the best for you. You are her child, and she would go to the ends of the earth to keep you safe and happy. Mums are probably one of the most special gifts a person could receive. They are there to nurture you and care for you when you need it the most. They are there to tell you when you look terrible or when you look amazing. A mum is there to catch you when you fall, and love you unconditionally even when you mess up (like really mess up…) They know you better than you know yourself. When it comes down to it, your mum will always be one of the most important people in your life. Respect her, love her, and be there for her the way she is there for you. The bond between a mother and child is one that can never be broken or replicated, so don’t take it for granted. Tell her you love her every day and never let that mother/child bond break. We think that all the mothers in the world deserve their own cryptocurrency and their exclusive e-shop where you will be able to buy gifts for her by paying with your mumcoins. • There are 2 billion mothers in the world. • 4.3 babies are born each second. • Huge potential for value creation. Is this a scam ? : Is your mother a scam ? Mumcoin is a fun token but is not a scam. You will be able to buy gifts for your mother from the Mumcoin shop. Where can I buy Mumcoin ? : On this website. Please do not buy them anywhere else. What type of wallet address do I need to participate? :You must use myetherwallet or metamask to participate. Do not use exchange addresses, since you will not be able to receive your Mumcoins. Which currencies do you accept? : We accept only ethereum. What is the maximum number of Mum tokens to be ever created? : 22000000 Tokens is the max supply (20000000 for the crowdsale and 10% reserved). What is the Hard cap? : The hard cap is 4000 eth. Are there minimum and maximum purchases? : No. How do I participate in the Crowdsale ? : To take part in the token offering, you should send your ethereum to the token offering address. What will you do with unsold tokens? : Mum coin is mintable token. How much will Mumcoin appreciate ? : Crypto currencies like other assets appreciate as demand increases or supply decreases. Mumcoin is airdropping 150 MUM tokens to the first 10000 participants. 4.Like and Retweet the pinned tweet. Re: [ANN][ICO][AIRDROP] - Mumcoin(MUM) - Decentralizing Mum on the Blockchain.